Once you add any radio show in your shopping cart, select a sampler CD to be included in your order free of charge. If you would prefer to purchase an extra copy of this sampler CD, you can click ADD TO CART above. Whether you decide to blast along the American Trail in an oxen train, listen to ol' Babe smacking a high flyer, or snicker at the Marx Brothers' antics, you'll enjoy this mighty fine sampler. It contains a single episode from over 100 series and is included free-of-charge when you add it to your shopping cart at checkout. 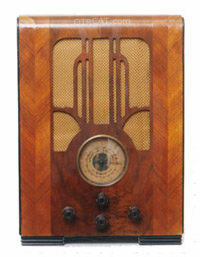 Overall, an excellent introduction to old time radio. A few of the shows had so much static as to be unlistenable in the car. Life of Riley had such bad dropouts in the middle area as to make it unlistenable, also. But overall, this is an excellent collection.